The song “It’s All Right” was written singer, songwriter, guitarist, producer Curtis Mayfield. In 1963, the song went to #4 on the U.S. Billboard Hot 100 and #1 on the Hot R&B Sides and Cash Box charts. The song sold more than one million copies and earned an RIAA gold record. There have been numerous covers, including those by Etta James, Tommy James and the Shondells, Huey Lewis and the News, and Steve Winwood. 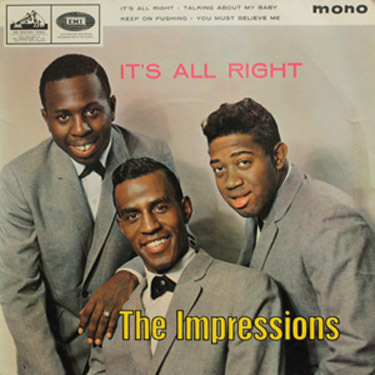 The Impressions began as The Roosters by Sam Gooden, Richard and Arthur Brooks in 1958. They then added Jerry Butler and Curtis Mayfield to become Jerry Butler & The Impressions. 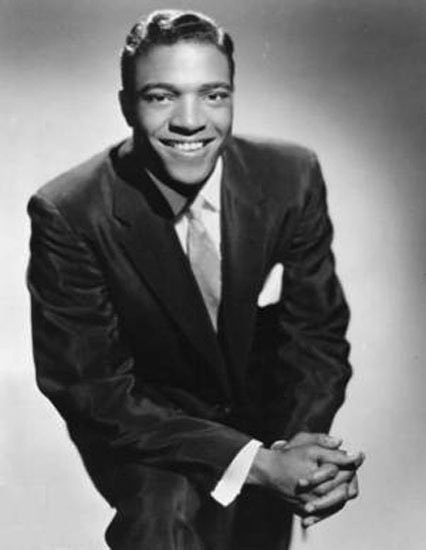 As these things go, Butler left the group in 1962 and pursued a successful solo career. For this track, the artists were Mayfield, Gooden, and Fred Cash. Please click here for the Daily Doo Wop YouTube channel, to which you can subscribe. Thank you for stopping by The Daily Doo Wop. Hope you enjoyed “It’s All Right” by The Impressions. Wasn’t he killed in a plane crash? Thanks for posting the video with the translation into English. Strange and beautiful words. 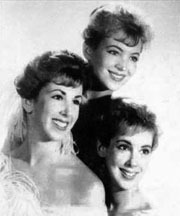 I love doo wop music, rock and roll, and all kinds of music from this era. He died in a plane crash, I think. Thanks for having the video with the words in English. The best music is from the 50s and 60s. Hi. Thanks for the lyrics in English. What a beautiful song. 50s and 60s music are the best.